Getting hideously drunk at a dinner party and embarrassing yourself is certainly nothing new. As far back as the 9th Century, the beautifully named 'Dunhuang Bureau of Etiquette' insisted that local officials use the following letter template (dated 856) when sending apologies to offended dinner hosts. The guilty party would copy the template text, enter the dinner host's name, sign the letter and then deliver with head bowed. The letter was discovered, alongside thousands of other documents, in a sealed cave library in western China. To read more - and I suggest you do - visit the incredible International Dunhuang Project. 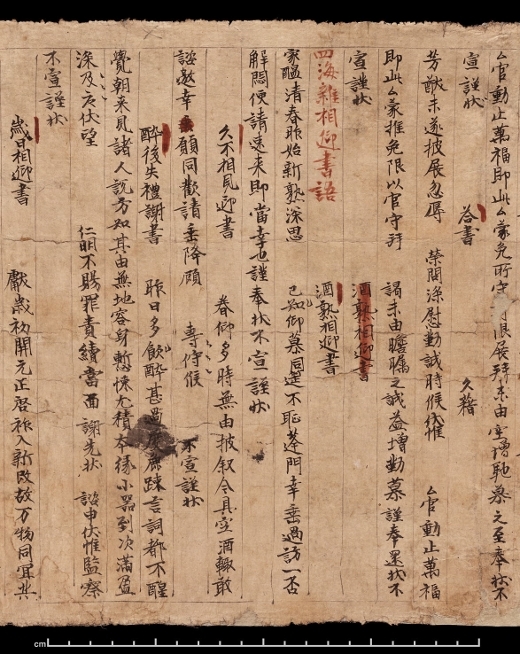 The entire scroll, filled with Form Letters adapted for various situations, can be seen here. Recommended reading: Cave Temples of Mogao: Art and History on the Silk Road.